A brave dog has become a local hero after it rescued a child who had been dumped by the maid in the railway line. The maid, who was in protest against being ill treated by her employers, decided to kill their only daughter by placing her on the rail for the train to run over her. 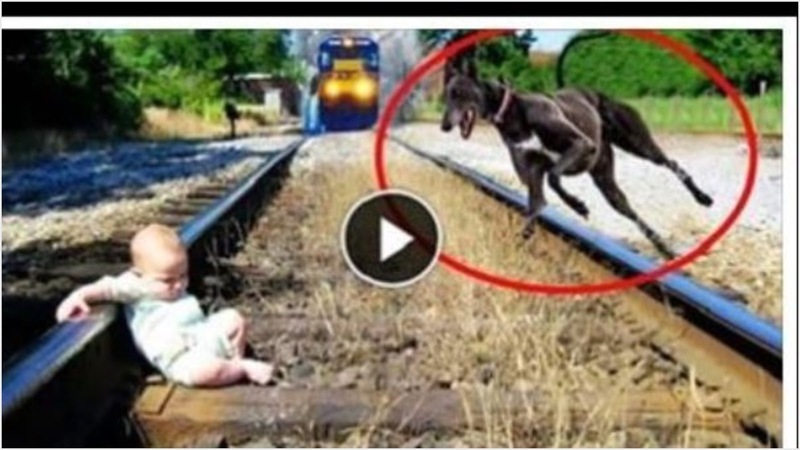 However, a stray dog saw the helpless baby as the train approached and rushed to rescue the unsuspecting baby. It was like a scene from a movie as the brave grey hound dog sprinted against the rushing train. The whole scene was captured on the camera’s placed in the railway tracks to preven theft. Police were called and arrested the maid who confessed her evil doings and said she was possessed and didn’t remember what she did. When the little girls mother was phoned, she collapsed on the phone and woke up later to rush to the scene. The father of the baby was not available to comment. Police said the would arrest the maid and charge her. The mother was grateful and thanked God for the miracle which had just unfolded. Some eye witnesses begged the police to release the maid into their care for some mob justice but the police refused and took her away.